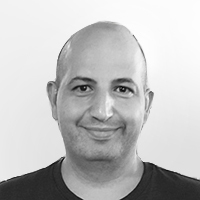 Tamir is a senior technology executive with over 20 years of international experience in business development and general management across multiple industries. With a passion for technology, Tamir joined Bringg following proven success at Abbott Laboratories in market penetration and origination capabilities, as well as an outstanding track record managing teams and building long-lasting client relationships. Michael is an accomplished business builder and strategist across multiple industries. He initiated and led Merrill Lynch’s third party hedge fund distribution group and led the company’s financial advisor training program. He also served as General Manager, EMEA at Datorama (Acquired by Salesforce). Michael is a trained attorney with an MBA from Columbia Business School. Isaac has spent over a decade building the Sales and Business Operations teams at fast-growing startups including SimilarWeb, Yotpo and Wix. Currently, he leads Bringg’s operational growth to serve fortune 500 customers in various industries worldwide. 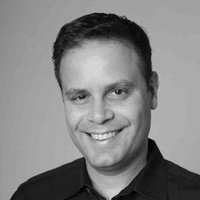 Isaac holds an MBA from the Israel Institute of Technology, and a B.Sc degree in Mechanical Engineering and Finance from NYU. Tamar has a long and successful track record in the global high-tech industry, running marketing and business development at fast growing B2B startups in Israel and the US. Most recently, she served as VP Marketing at ARX, the digital signature company, where she led the push into new markets, leading to the company’s acquisition by DocuSign. Tamar holds an MBA from the Stanford Graduate School of Business. Nir brings over a decade of experience in financial management for startups as well as multinational late-stage companies. Prior to Bringg, he worked at various companies including Nova Measuring Instruments (NASDAQ: NVMI), GreenRoad, Aternity, Mintigo, Cymmertia and GlassesUSA. 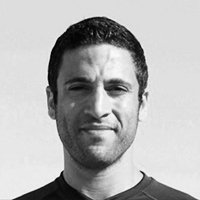 Nir holds a BA in Accounting and Economics and an MBA in Finance Management, both from Tel-Aviv university. Avi has vast experience in software engineering and management, with over 10 years of experience in R&D management positions. Avi worked as VP R&D at Yotpo and SimilarWeb, where he managed as many as 60 developers, as well as the Director of R&D Operations at ICQ. Avi is an excellent source of knowledge of the newest systems and technologies, mentoring others with his hands-on experience. Sharon has over 8 years of experience in human resources management. She brings with her vast knowledge in supporting rapid growth and leading change within start-up environments, while being heavily involved in establishing the human resource infrastructure and improving company culture. Sharon holds an M.A. in Psychology (Organizational Behavior & Development) and a B.A. in Business Administration.